It’s the first and possibly the only such research of its kind. 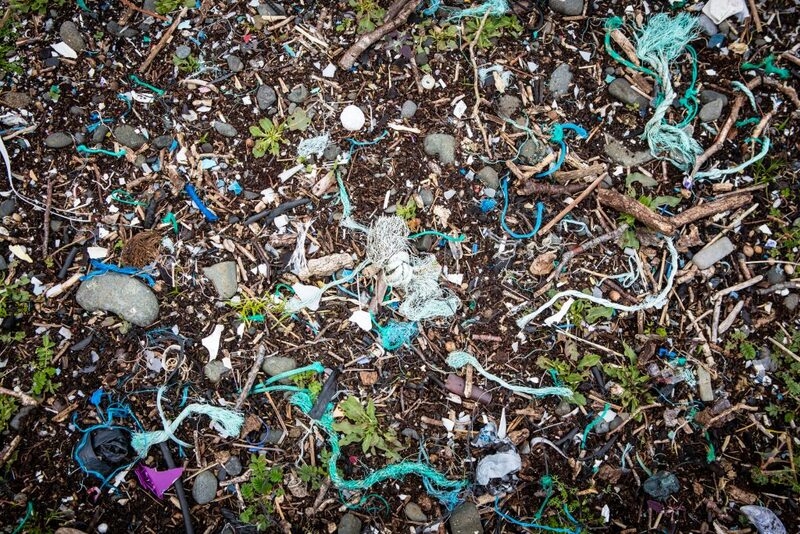 Almost two-thirds of Scottish waters were found to contain micro-plastic pollution. They collected samples with a focus on areas around the Hebrides known to be important feeding grounds for basking sharks and seabirds. 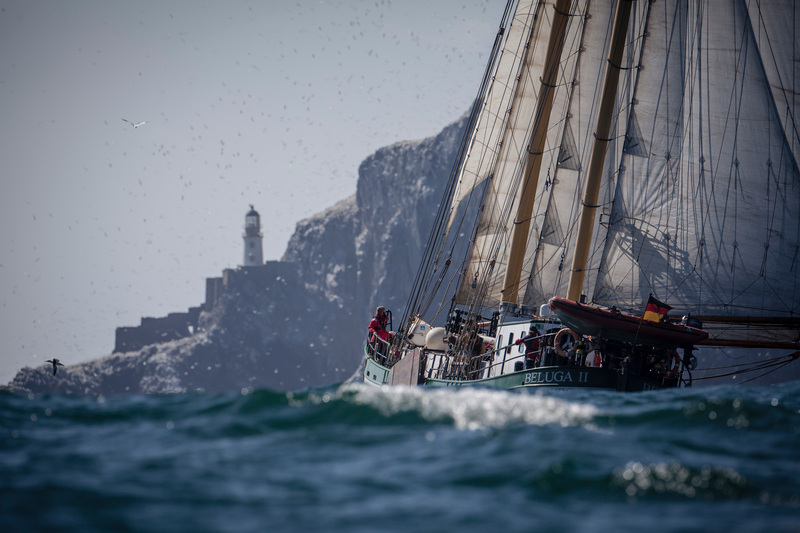 Seawater samples were also collected in key foraging areas and around internationally significant seabird colonies including Bass Rock and the Shiant Isles, which are the home to over 20 seabird species including gannets, puffins, razorbills and shearwaters. A total of 49 individual samples were analysed by Greenpeace’s laboratory to determine the types of microplastics found, and any chemicals or contaminants carried on individual microplastic pieces. Despite the remoteness of Scottish coastal waters, and the low levels of coastal development of the areas surveyed, 31 of 49 samples tested contained microplastics. The survey raises profound questions about the state of our ecology and our responses to environmental problems. Greenpeace focused on the ‘pristine’ waters of Mull, Tiree, Rum, Canna and the Western Isles precisely because these waters contain basking sharks, dolphins, whales and sea birds. As Polar Bear = Climate Change icon (people like bears), sharks also play well in the public conscience. At the launch of the report we had Tory MSP Maurice Golden and SNP MSP Kate Forbes talking about the Scottish Parliament’s possible responses. Beach clean-ups were focused on and we were told to think of ‘Ocean Optimism’. But if the west coast is contaminated then that must mean the rivers are contaminated. We’ve created a product (plastic) that doesn’t break down, is very cheap to produce and has multiple applications. Then we’ve created an economy based on mass consumption and a culture that thrives on throwing things away. That’s the basis of our economy, not some aberration from it. That’s what it’s based on. A study in Science Magazine in 2015 estimated that around 8m tonnes of plastic go into the sea each year. That’s a truckload of plastic entering the ocean every minute. You’re going to need a hell of a lot of beach clean-ups to fix that. SNP MSP Kate Forbes, has been leading the Final Straw campaign for an end to plastic straws, and succeeded in the Parliament banning straws, and pupils from Glasgow’s Sunnyside primary school, have persuaded Glasgow Council to ditch plastic straws. The Scottish Government announced in September it will introduce a Deposit and Return Scheme for drinks packaging. Detailed proposals for a Scottish system are being worked up by Zero Waste Scotland at the instruction of Roseanna Cunningham MSP, the Cabinet Secretary for Environment, Climate Change and Land Reform, and a final design is expected to be published in the summer. Michael Gove has also suggested he would look at a similar scheme at a UK level. Campaigners for the Scottish scheme have insisted their plans will go ahead regardless of whether its happens at a UK level, though obviously a UK-wide scheme would be preferable. Now both of these initiatives are to be welcomed and the deposit scheme has already been backed by more than ninety organisations, including businesses, local authorities, outdoor sports organisations and universities. 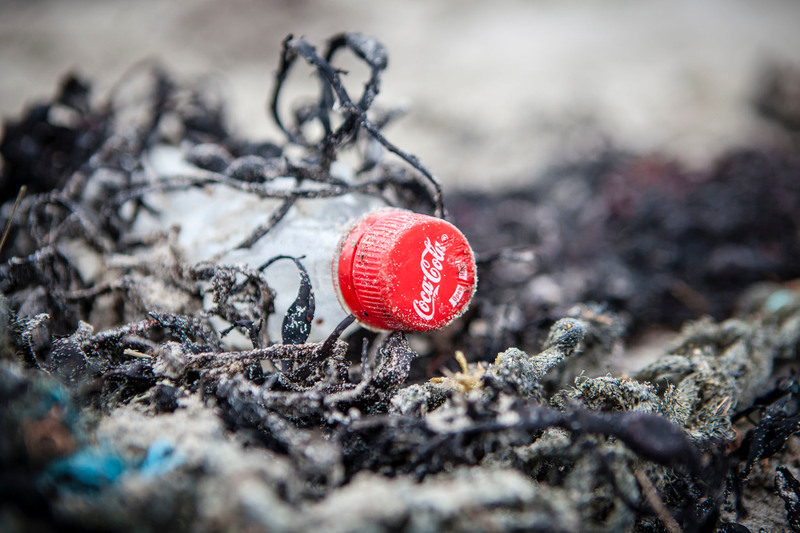 A small fully refundable deposit on empty drinks containers has been proven elsewhere to reduce litter, boost recycling, and contribute to the circular economy and has widespread public support. But what we need to be doing is thinking about the leap to a post-plastic society and departure from our throwaway consumable culture. If these measures are steps towards that goal then all good. If they are steps away from that goal by chaining us to ameliorative and negligible differences, then we need to be aware of that danger. The idea of a Scottish food (and seafood) ‘brand’ being associated with being ‘clean’ and ‘green’ (itself highly problematic) is also potentially undermined by these findings and the reality of a Plastic Sea. Environmental policies need to be allied to – and connected with the wider aim of a rupture from consumer society and the reality that the production-consumption cycle is what fuels the climate crisis. Rather than a spurious ‘Ocean Optimism’ we should have a radical realism, face up to what is happening and demand change at a level that has meaning. I live in Helensburgh where the beach is one of the main attractions to bring visitors to the town. I am part of a beach cleaning team that tries to keep on top of what both washes up and what is thrown away locally. We will clean up all of the plastic and other non-degradable waste from a short stretch of beach in a morning but within a week it is as bad as ever. Clearly our efforts are aimed at maintaining the attractiveness of the town but we do little or nothing along the rest of the shoreline where the amount of litter is appalling. It is an obvious statement that we need to change from the throwaway culture made clear in the story above. The charge on plastic bags has made a big impact for the better; a deposit scheme on bottles and cans may be difficult but we must try to get it brought in. The campaign to ban plastic straws and, even worse, plastic cotton bud stems are worthwhile but that is not enough. All too many products are wrapped in non- recyclable plastic packaging and that is something we should be trying to change. Let us follow through on the proposals above and raise the pressure to bring back paper and card packaging without the attendant plastic wrapping. Until we are up to our proverbial necks choking in our waste there will be no change. Plastic manufacturing is big business. It is not a cottage industry, and it is an industry that has long known exactly what it is producing. Like it’s sister industry Big Oil, it does not care, and neither have our governments. Moreover, as consumers most of us do not care too. Out of sight, out of mind, we are the perfect customers for the plastic industry’s toxic products. Something could and should have been done long ago, but wasn’t. Sup it up folks, we wanted rampant free marketeering and by Jove we’ve got it. You may be right Willie. Sounds like something I wrote earlier today. Our Brexiteer leaders want us to go down the road of of allowing multi-nationals unfettered access to our markets. Make us pay for health care from US health companies, feed us stuff that is manufactured to lower and cheaper standards, allow Scotch to be made anywhere they can undercut us, cut the terms, conditions and wages of our workers. These things all make better profits for the shareholders. The thing is we’re never given the whole picture when we first face these choices. Not: “”Do you want a new retail park near your home, which will close all your local shops, reduce the quality of your food, require you to buy a car to fetch groceries, drive down local wages, increase in-work poverty, cause local flooding, increase pollution, etc, etc. As long as we put corporate profit first in our societal decision making, we will be doomed to clean up, or eat, the excrement of big business at our own expense. What a bargain! It’s time to run things as if people mattered. The cleaning of our beaches and seas, the re-use of our waste and the general housekeeping of our planet could provide millions of very important jobs globally. If we are serious about valuing the planet that gives us life, we could create a giant industry employing the Earth’s citizens to repair some of the damage we’ve done. If governments are able to create money, why not create programmes to tackle this problem? It would be the best investment of all time. An opportunity. We’ve learned how to do global consumerism, how about trying global preservation? Absolutely. We are where we are with a polluted planet but we cannot allow it to just get worse. First we need to persuade our suppliers that we do not want them to make everything from plastic than we need to take the steps to redress the problem. There are discussions about a “Citizen’s Income” where people are paid whether they do anything or not. I think that needs to be redefined. Of course those that REALLY cannot work should be supported with enough to live on but we should offer full time work to everyone that is able; pay the living wage and get them to work for the community doing all the things local councils no longer do. If other employers want staff they would need to compete for them by paying more and providing good working conditions. What happens at the moment is employers take on staff on as little as they can, slave drive them with threats of dismissal; give them zero hours contracts where the state has to support them, at a very low level, and some need to go to food banks to survive. Hey Bella, you should have a look at the work of the New Plastics Economy. It’s an initiative designed to design out the problem of plastic waste. It is a systems-based solution that has the backing of several major producers of plastic packaging. A recent innovation prize has thrown up a number of interesting results you might want to have a look at.